North Myrtle has some interesting wildlife and crabs are some of the coolest. If you go out on the beach at night, you will likely see some of them scurrying around looking for food. You can also see them near boat docks and nature preserves. Crabs are everywhere and if you want to catch some to fix for dinner or just to observe for a little while, these tips can help. If you plan on catching crabs in North Myrtle Beach, you will need to get your saltwater fishing license. You can get that at many gas stations and even Walmart. You can also get it online. 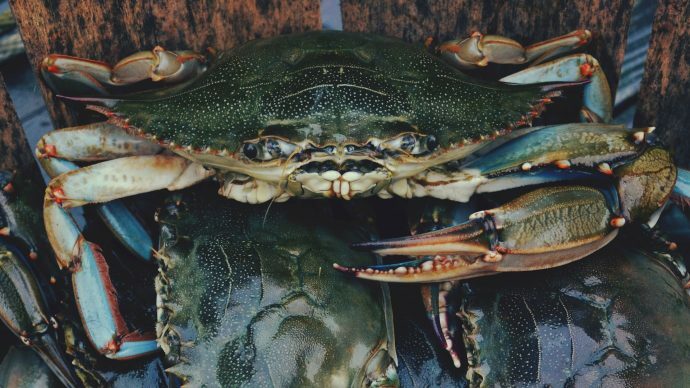 It is illegal to catch crabs without a saltwater fishing license. There are certain rules when I come to catching crab and you need to follow them to help protect the animals and avoid getting into trouble. You cannot keep any crabs smaller than five inches from point to point. You also must throw back any female crabs that are carrying eggs. You will need to know what kind of bait is right to use to catch crabs. Chicken livers or chicken necks work best. You can buy them form many grocery stores and bait stores in North Myrtle Beach. You can also find all the other necessary supplies and gear you need for crabbing at these places. You will need a line, a net, and a bucket. Tie your bait to a crab line and lower it into the water. The crab will tug on the line when it tries to take the bait. Wait a few seconds after you feel the second tug and slowly pull the line straight up to the water line. Do not pull the crab out of the water or it will let go of the bait. Use a net to collect the crab and keep it in a bucket of water until you are ready to cook it. Battle of the Beach Stores: Who’s got the best coupons?